Dairymaster launched the much anticipated MooMonitor+ that monitors each individual cow’s health and fertility at its global headquarters in Causeway, Co Kerry. 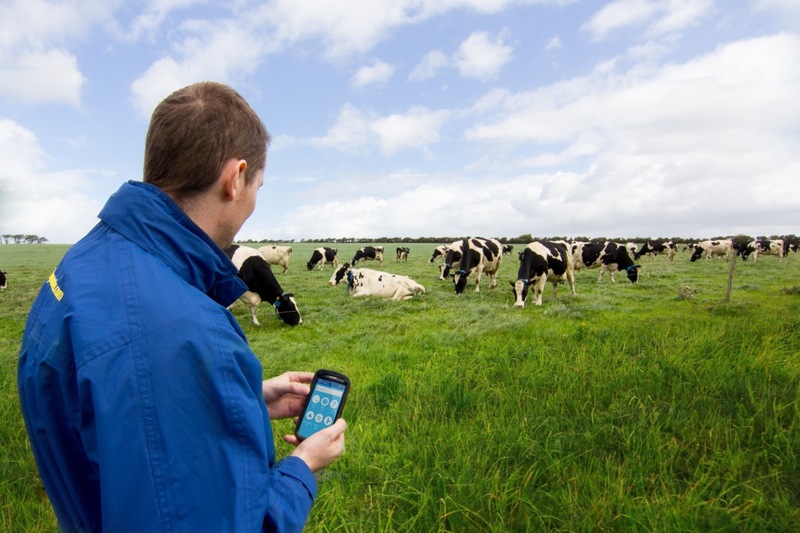 Dairymaster’s original MooMonitor focused solely on whether a cow was in heat or not, the latest model can now help with animal health, reducing further the revenue lost through illness and missed heats, through networking and cloud computing. Even though the solution allows farmers to monitor their entire herd 24X7 from their smartphones, the real power lies in its ability to monitor each and every cow in the herd. MooMonitor+ key features deliver superior fertility and heat detection monitoring, together with advanced health monitoring. Six key aspects of cow health and wellness are monitored including Fertility, Rumination, Resting, Feeding, Restlessness and Performance. The data recorded is then delivered to the farmer on his / her smartphone around the clock. Up to 1000 times improvement in range compared to current systems on the market. 4x more data intervals = more real-time information, precisely monitor changes in behaviour and identify illness much faster thereby enhancing a farmers ability to enhance profitability, fertility, health and output across the herd. Similar to the contactless bank card payment systems we are now seeing in shops and cafes, MooMonitor+ is also incorporating similar technology. Farmers will be able to swipe the MooMonitor+ with compatible smartphones to automatically read a cows individual informaion. With the Kerry football team vying for a record 37th All-Ireland football title this weekend, Dairymaster’s MooMonitor+ reflects the Kerry philosophy of persistently striving for continuous improvement. Commissioner Quinn praised the role of Irish Small to Medium Enterprises (SME’s) across Ireland in helping enhance profitability on Irish farms. The ploughing championships in Count Laois next week give farmers a perfect opportunity to discover how such companies can drive efficiency growth in the post-quota era.